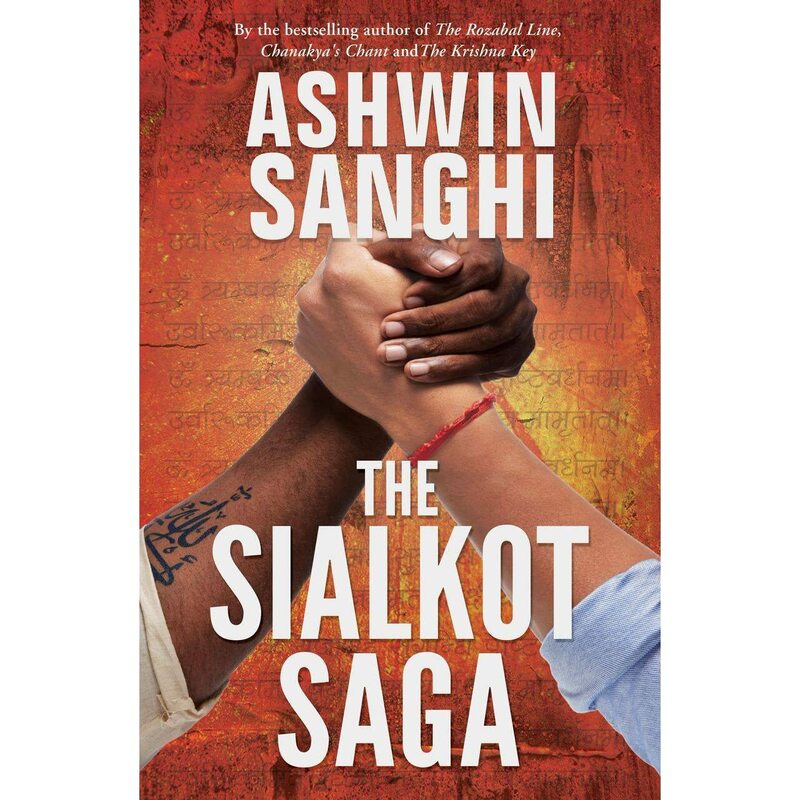 I have been a fan of Ashwin sanghi , mostly for his first book. The next two were good ones for different reasons but no way near Rozabal Line. I have missed rest of them and was not aware of Sialkot Saga till it hit the markets. The size , the plot and the hype around the book made me think that this book might be almost like the previous ones I have read. I was wrong. This was not as good as any. Call it a personal quirk or something , but I go restless unless I understand the reason behind the book's name. Here, it took me 400 pages to even hear Sialkot mentioned. This 500+ pages book is not difficult to read ;cause lets agree , most of us are used to follow the story of two people from diverse cultures and background engage in rivalry from ages. We have seen that in movies , in books and bollywood has fed us this plot more than one can count. Hence the stories of Arbaz and Arvind - one son of a dockyard worker who rises to be the trusted aide of local don and other an ambitious son of an average businessman. Both of them dabbled on both sides of legally / morally wrong deals and kept putting each other down for no other reason than ego and revenge. The heights of cliché was their kids marrying each other and them being tied to each other much before they ever heard of each other. The parallel track that begins with Ashoka and his nine gems discussing their knowledge that must be preserved and so passed to next generations carefully. Every now and then , we see the traces of this knowledge , the manuscript and the people entrusted with the same. Everyone who is in touch with these men seem to be wealthy beyond means and one starts wondering if we are on a treasure hunt. It is only in the last 100+ pages that the story starts to emerge clearly and by then Arbaz and Arvind die without ever realizing the truth. It is passed to their kids and friends to reveal the importance of their connection , the "big secret" and how it all began. but even that backstory is not descriptive. how was this knowledge obtained and what was the role of the nine unknowns gathered by Asoka ? I would have liked this book more if some of the present characters and events would have been left out of the book. The characters go through every possible historical landmark between 1950 to 2010 - the wars , the different PM , emergency , assassinations , technological advances , the scams , earthquakes , Plane attack in USA and even the Godhara tragedy. It kind of put me off , this historical reference overload. This book is more for his die hard fans and those who want an easy read. Many of readers who read a lot , will find certain similarities with other international books. I appreciate the research and the ability to spin a story that envelops all the mentioned events and people in here , but the effort did not make it an entertaining read for me.